The letter R brings us to two dear friends who have really helped me learn a lot about agriculture in the past few years. Such an honor to have them on the blog for this farm a to z. The words “ranching in Montana” have a mystique to them almost. I immediately picture the open pastures, big sky and mountains on the horizon. BI have been adding lots of detail to that picture over the last couple of year thanks to Ryan Goodman. Ryan is the guy who started a movement of people talking about how they are Agriculture Proud. It is kind of odd that Ryan has really helped me get to know Montana since I first met him while he lived in Oklahoma, and then on to Texas and Tennessee. 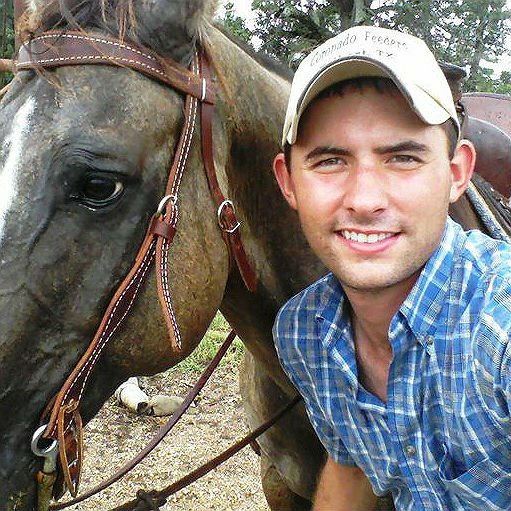 His family raises cattle for beef in Arkansas. As he went through college and grad school, he had the opportunity to work with cattle ranches, farms, feedlots and business across the country and now he work with cattle ranchers across the state of Montana in his job with the Montana Stockgrowers Association in Helena. If you don’t know Ryan, you are going to love getting to know him! Farmers and ranchers raise cattle in every state (even Alaska) across the country, but everyone has a different way of doing things. My experiences have led to working with cattle in several regions of the country and there is always something new to learn. Dry open ranges of the Northern Rockies present far different challenges and conditions for raising cattle compared to the temperate, warm and humid pastures of the Southeast. I’ve documented many of these experiences and comparisons through blogs at AgricultureProud.com. Working with the Montana Stockgrowers Association is a great opportunity to learn from some of the best leaders in the ranching business and I write about many of those experiences and the topics ranchers manage at MTbeef.org. I’ve had several great mentors and teachers throughout my young career. Obviously my parents played a big role in my decisions to continue working with cattle ranchers. My manager at the feedlot in Texas, Jason Floyd, gave me advice that has stuck with me over the years – “Your passion is something you would do even if you had to sleep in your car and work for no wages. Find out what that passion is and pursue with all you have.” My passion has led me to work with ranchers in Montana. Working in an environment in complete contrast to that which I grew up in has given me a greater appreciation for our resources and the work ranchers do to be good stewards of those resources and our environment. These are stories that most Americans do not experience or learn about. I hope to utilize these opportunities and one day return to the ranching business as a primary job. Until then, I’ll take every advantage to learn from those who have several years of experience to share. Ranchers do have interests off-farm. Last year I joined a relay team to promote beef at running events across Montana and the country. 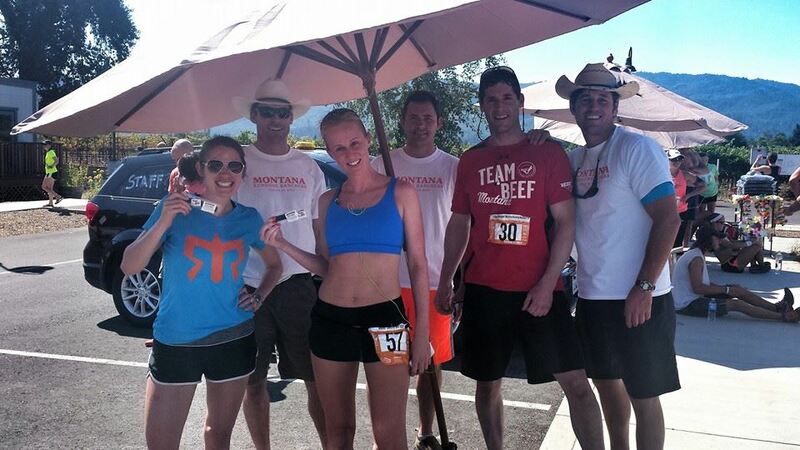 The Montana Running Ranchers joined the Ragnar Relay race in Napa Valley, California last September, passed out beef jerky to race participants and answered many questions about raising cattle and how beef is part of a healthy diet. 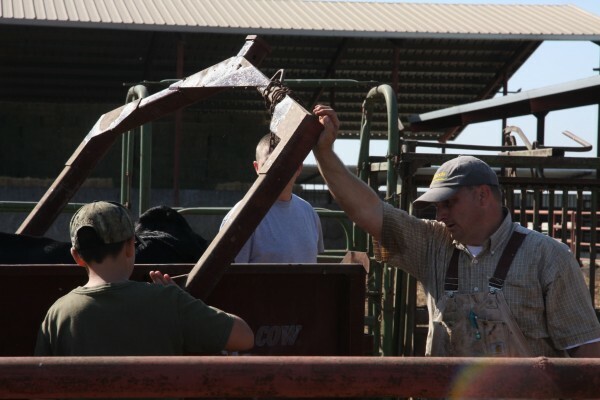 Team Beef programs are in several states and help to connect the running community with active ranchers in their areas. In this photo, several Montana ranchers are having a great time with Ragnar runners enjoying some beef jerky snacks near Napa, California. The first dairy farm I ever visited was Ray-Lin Dairy. I had a business trip taking me to Sacramento, California, and I decided to add a personal night to make my way to Turlock to visit Ray Prock. We met for dinner the night I got in and decided that I’d get out to the farm in the morning. I was pretty pumped to get out there & see a dairy up close! I was going to learn about what cows eat up close & personal, I was picturing the milk barn, pitching hay, etc…. I was ready for the stereotypical tourist day on the farm. What I wasn’t ready for, was the morning Ray was having. I drove up, expecting the same reception I’d gotten the night before but I didn’t see anyone so I parked, started getting my camera equipment ready, etc. After a while, I realized there were a few folks on the other side of a fence. Next thing I knew, they headed two different directions, both running and neither came my way. A bit later a truck came by & Ray asked me to hop in. The next hour or so was me standing in one place simply watching Ray & the team. It was silent with the stray few words here and there or rare moos coming from the barn. I took pictures, tried to understand what I was watching since I had heard of down cows online. It was sure different in person and the silent activity definitely made the seriousness of the day sink in. A down cow is a cow that either won’t or can’t seem to get back on their feet. If it doesn’t get up…. well, its really bad news. Why does a cow go down? A down cow can be down for about a million reasons. It can be something like she hurt her leg and doesn’t want to put weight on it to get up. It can be because she just had a calf and during delivery she pinched a nerve. A cow can be down because after calving she has a calcium imbalance that needs to be corrected. There are lots of reasons for a cow to go down. So what’s the big deal if a cow goes down? A cow is a big animal, I think we can all agree on that right? When a cow lays down for long periods of time all of her weight rests on her legs. Her legs start to lose circulation, as they lose circulation they become weak. A cow needs strong legs to lift her hefty frame up.The longer a cow is down the lower her chances of ever getting back up become. It doesn’t matter what caused the cow to go down in the first place, a down cow that doesn’t get up becomes a dead cow. Ray had tried to encourage the cow to get up to no avail. They tried shoving her around a bit to get her moving. by the time I was arriving, they decided they would have to get her some vitamins and pick her up to put her in a water bath that could help hold her weight some. After they had done everything they could and they needed to just wait to see how she responded to the treatment, I got the tour of the dairy I wrote about. She seemed more responsive that afternoon and the next day as I was headed back to Sacramento, Ray called to tell me she was back on her feet. I didn’t write about the whole down cow experience til now… At the time I told Ray, I took photos, etc just trying to understand so it was easy to wonder whether other people may not understand. I wrote the happier posts about the rest of the trip and in the years that have followed, I’ve learned with different ears as people talked about it. I do know that I learned a lot about dairy farms & farmers that day, it just wasn’t what I was expecting! Today’s post is a bit different than most of the previous posts in the Farms, Farmers and Farm Blogs A to Z series. Have you had a chance to learn about cattle — ranching or dairy? If you have questions, I bet some of my folks would be happy to help answer them, just drop them in the comment section. Come back tomorrow for the letter S! Thanks for including me in the A to Z this year, JP! It’s been a great series and glad I could share a piece of my ranching experience.